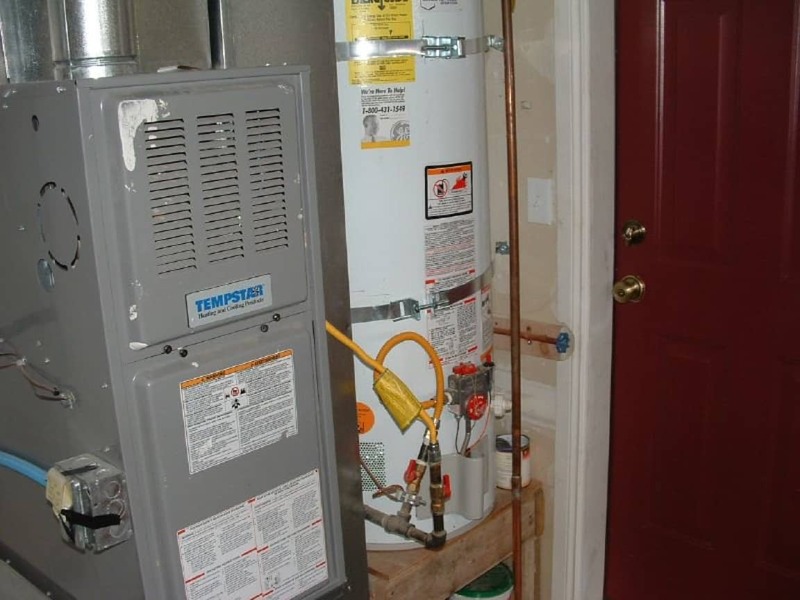 During the cold winter months, your furnace is one of the most important things in your home. You rely on it to keep your home warm and your family comfortable. If you want to keep that warm air flowing, your furnace heat exchanger needs to be in good working order. A faulty or damaged heat exchanger can leave you without heat, or in some cases can be the cause of dangerous carbon monoxide poisoning. Cracked heat exchangers need to be taken seriously, but some HVAC companies use scare tactics to try to sell new furnaces to customers who do not need them. When people have called us for a second opinion, we have found that in most cases, there is no crack and the heat exchanger is functioning safely. Our goal is to help make sure that homeowners are getting good information about potentially cracked heat exchangers and not being taken advantage of. We hope the following questions and answers will be beneficial. In simplest terms, the heat exchanger is the part of your furnace that actually heats the air in your home. To do this, fuel is combusted in a sealed chamber. This combustion generates heat, as well as a mixture of dangerous fumes that may include water vapor, carbon dioxide, carbon monoxide, and soot. As the combustion chamber heats up the exchanger, your blower motor blows air over its surface, sending warm air through the ducting to the rest of your home. The heat exchanger contains the fumes and sends them to the chimney, while transferring clean, warm air to your home. Why might heat exchangers get cracked? Over time, heat exchangers may be stressed from the continual expansion and contraction that occurs as the metal heats and cools. This may cause cracks to develop in weak areas. This is mostly due to overheating because of poor airflow. Reduced airflow can happen because of dirty filters, not having enough ducts, or having an oversized furnace for your home’s size. Cracks in the heat exchanger can allow air from the blower to interfere with the flame, tripping the furnace’s safety switch and leaving you with no heat. In the most serious cases, cracks in your heat exchanger mean that the combustion chamber is no longer sealed, and dangerous flue gases can leak into your home. This can cause deadly carbon monoxide poisoning. How do you properly diagnose a cracked heat exchanger? Cracked heat exchangers can be dangerous and should be taken care of, but far too many companies prey upon their customer’s worries and get them to spend thousands of dollars on a new furnace, when no cracks are actually present. This can be because they are not properly trained on how to inspect a heat exchanger or because they are simply deceiving their customers to make a sale. Visual inspections, scopes, and cameras can be used to detect cracks. When these older methods are combined with new technology, technicians can be even more certain. Combustion analyzers and other proven processes can be used to tell you definitively if there is a leak. This means that you don’t have to worry about faulty visuals and can make sure the home is safe. What can homeowners do to make sure they aren’t being scammed? Be wary if a technician says they find a crack via a camera on a furnace that is working well and hasn’t set off any alarms. Heat exchanger cracks are typically visible to the human eye, even to someone who is untrained, so ask the technician to show you the crack. What happens if I really do have a cracked heat exchanger? As already mentioned, heat exchanger cracks can be dangerous, lead to poor performance and will eventually stop your furnace from running, so legitimate cracks must be dealt with. Since the heat exchanger is at the center of the furnace, it is expensive to replace, and simply replacing it may not address the real issues. For this reason, most experts recommend replacing the whole furnace, especially if it’s older than 10 years. With proper care and maintenance, furnaces should last 10-20 years. It is recommended that you should have your furnace tuned up and inspected yearly to keep it running at peak performance. It is also important to have a carbon monoxide detector with an alarm to protect your family. At Snowflake Air, we pride ourselves on honesty, quality service, dependability, and a fair price. If you are in need of a tune up or furnace repair in Boise, Snowflake Air is here to help, 24 hours a day. Contact us today.